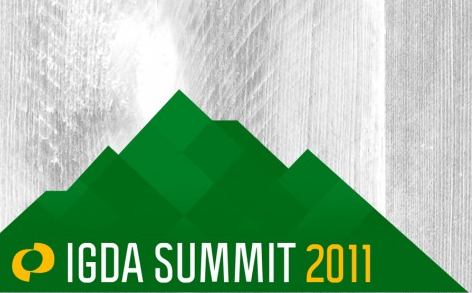 Last week in Seattle, the IGDA put together its first Summits. The event was organised parallel to (and in partnership with) Casual Connect. I was drafted to help put together the content for the Monetisation summit, and sat in a few sessions that were particularly interesting to me (one perk of having a say on what the topics will be!). If you missed some of my comments on twitter, or more likely if you just unfollowed me after the spam (you can follow me again, the event is over, I will behave in the coming weeks), I have put together here some of my notes on the Fighting Fraud panel and the Kickstarter panel. These are my rough notes of what was discussed. If I got anything wrong, please let me know. Fraud is painful. Fraud is difficult to fight. Fraudsters will always be very creative in bypassing your system, and you will always have to play catch up. But you really can’t ignore it. Before anything else, the first thing to do is to make sure you can measure fraud and understand that it is happening. The moment you reach about 2% of chargebacks on your transactions (stolen credit cards were used and the money is taken back), Arthur CHU estimated you have about 2 months before it becomes a LOT more painful. However, before you reach that stage, investing heavily in fraud fighting might not be necessary. One fight at a time. Michael LIBERTY made a very good point on the fact that if you are not a big company and you are starting to charge online, it is best to go through a payment management system like Paypal (Michael’s company, to be fair). Until you reach a certain scale, micro-managing the payment processors and the related fraud is too time consuming. Game features influence fraud. Robin WALKER pointed out that a game with a trading system was more likely to attract fraudsters. While he has a fair point, this won’t remove all fraud and it does take a serious chunk of the social features (Arthur CHU made this point in the panel very eloquently). What it emphasized was the fact that the game design can help control fraud to a certain level: limited trial accounts, high level items “soulbound”, Gold lock systems (as in Rift). Convincing the developers to develop them is the hardest part. A tool is only as useful as the person holding it. All panelists agreed that going out and buying fraud fighting tools is useless unless you already know how you want to use them. These tools can be very efficient (for Nexon, it led to a reduction of fraud by a factor of 10), but they need to be used properly in your context. There are two kind of tools specifically that were mentioned: geo-location and device reputation tools. Understand friendly fraud from criminal fraud. All games have a number of “friendly fraud”, the typical case being kids using their parents’ credit cards without their approval. The panel recommended to, again, check the users’ activity, in order to identify friendly fraud and also to have a clear policy in place to manage it. Valve is calling really big spenders, for instance, to make sure they are aware and intended to make large purchases. Michael LIBERTY recommended kids’ games specifically to have a “generous” policy, as they were more likely to see kid-driven friendly fraud. Current trends. Arthur CHU was very vocal about the increase of the number of account takeovers, and how fraudsters are getting more and more sophisticated in their attacks. Where they once launched blanket attacks to get as many accounts as possible, they now target accounts that they know are very valuable. Kickstarter data. The website has successfully raised $70m across 20,000 projects to date. IIRC, the biggest project they had was a movie that raised about $500K. After submission, Kickstarter takes about 24h to greenlight a project. Once greenlit, the company can publish the project on the site when they want. Best practices. Cindy AU gave 3 core rules to maximize your chances with your project. Rule #1 – Make a video. The web is very much about videos nowadays, and projects with good videos are the ones that are the most successful. It doesn’t need to be super professional, but it certainly needs to clearly describe the project. Rule #2 – Rewards are very important. Each project offers unique rewards based on the size of your pledge, and it is up to the project owner to define them. Unique, tangible rewards with a strong cool factor help their projects significantly. Rule #3 – Leverage your existing community. If your project already has an existing community you can leverage to contribute to it, and also to spread the word, this increases the likelihood that your project will succeed. Cindy mentioned that projects with more than three backers succeed 90% of the time. The panel made very interesting comments on the importance of designing your rewards thoughtfully. Wiley WIGGINS regretted offering a poster reward, because they didn’t calculate properly the cost and the pain of delivering them to their backers. Kickstarter doesn’t get involved in the design of rewards, and it is really up to the company to do its homework as far as costs are concerned. Reward design is very important. Another consensus was that the duration of the pledge, the length of time allowed to reach the project’s target, didn’t need to be long. The logic is that your early backers will reach it in the first few days anyway, and then progress will be slow and regular until the very end when lurkers may decide to chip in and help. It was also interesting to note that the Kickstarter system attracted whales in the same way. Thunderbeam offered to make $1,000 contributors their ‘best friend’, which they essentially added just for fun. They now have many new best friends. I learned quite a bit from these panels, and will definitely be keeping an eye on Kickstarter – I hope they find a way to accept non-US projects down the line.